This topic contains 3 replies, has 3 voices, and was last updated by Ryan 9 months, 2 weeks ago. Couple of things I’ve made on my LowRider. 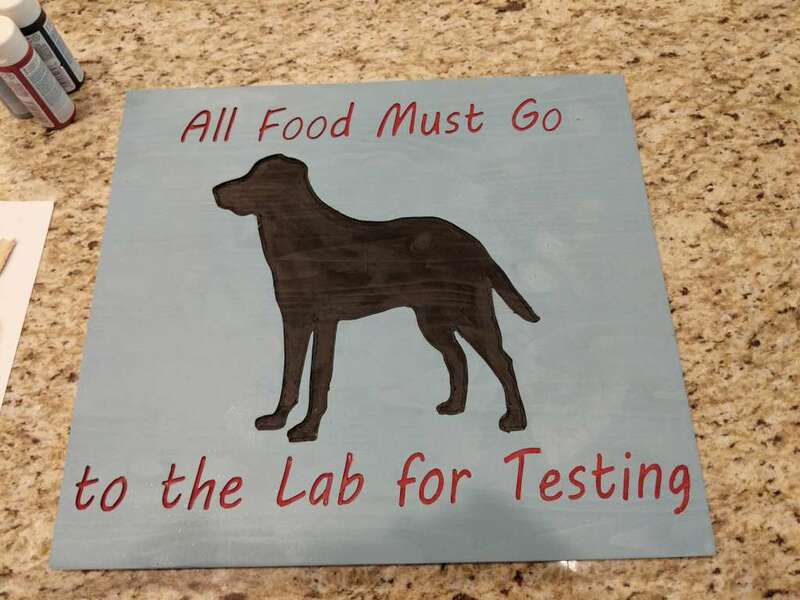 The sign is for my wife. 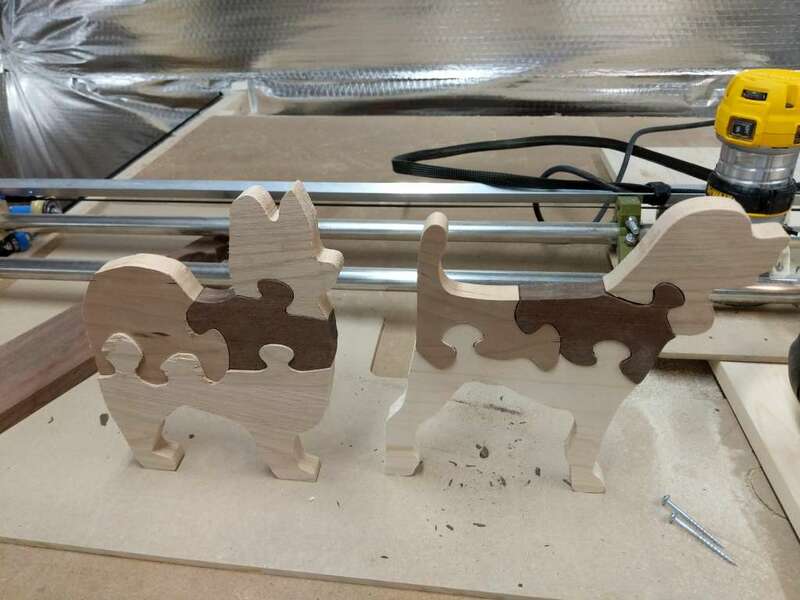 The dog puzzles are for baby gifts – straight wood, no finish, sanded smooth. Haha. That’s a great sign. Thanks for sharing. Do you have any tips/suggestions for the puzzles? Just through cuts and finishing passes? One tip I learned is to flip (vertically and horizontally) adjacent pieces. That way, any flex in the bit is sort of mirrored. I also allowed for a “-0.3 mm” on the finishing pass to make the pieces slightly smaller than the lines (I tried for a clearance of about 0.5mm total). Still required some sanding to mesh them easily. Cool projects. That sign is too funny!